Save Money on Custom Sails! The Sail Warehouse proudly distributes our Pro/Form custom sail line using bulk manufacturing from Rolly Tasker Sails and other fine manufacturers to keep the prices low without compromising quality. When you order your custom sail we build it at the same time we are producing a regular inventory production run, in effect “piggy-backing” onto our order. When many sails are produced at the same time the economy of scale keeps the cost down. Our production runs are scheduled every month for consistent & reliable on-time delivery. 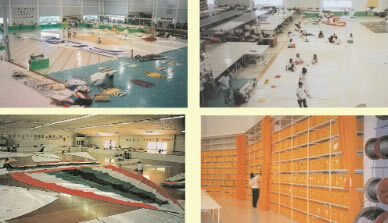 Custom sailmakers often charge more to cover expensive advertisements, large corporate overhead and higher domestic labor rates. Measuring, single unit production, delivery and installation all further increase the cost. 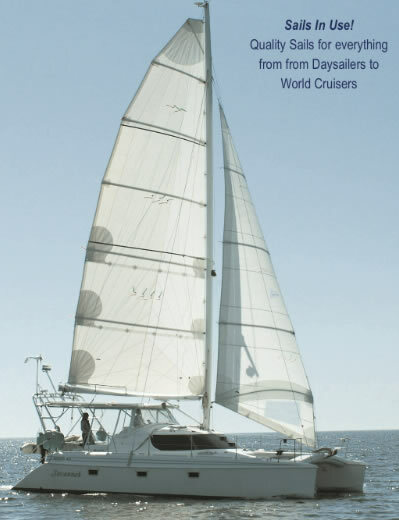 To justify higher prices sailmakers sometimes will make claims about quality. Because of our used sail department we often inspect sails 10 or more years old and can tell you by comparison our sails demonstrate equivalent quality and durability to “elite” brands that often cost twice as much. If you are willing to do your own measuring and installation our bulk manufacturing can save you a lot of money. It’s that simple. Production time for new custom sails is normally 3-5 weeks. Custom sails are built in conjunction with our regular inventory production runs arriving on around the 15th every month. Pro/Form Custom Sails are for boats typically 18 feet and over. Please complete the measuring procedure before submitting a quote request. We need the dimensions, product tier and options to accurately quote. If you have not already done the measuring we suggest that you search our stock sails for comparable dimension. 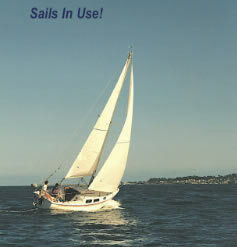 Our pricing is by square footage and there is no extra charge for custom sails. You can get a close idea of what you’ll pay by looking at what is there. Submit your quote request by filling out the Online Quote Form or call (831) 646-5346 9:00 AM - 5:00 PM (California Time) for live help. We will respond promptly with a firm price quotation and reliable delivery time. Please submit quote requests for multiple sails on separate forms.